At a special sitting marking his retirement last Thursday (10 December), Associate Professor Kenneth Palmer was farewelled by a packed courtroom of some of New Zealand’s top legal specialists. Palmer received tributes for his outstanding contribution to environmental law, planning and resource management in his role as a barrister, professor, editor and author. Those who attended included Principal Environment Judge LJ Newhook, Hon Justice AP Randerson, Hon Justice ED Wylie, Chief Employment Court Judge GL Colgan, Environment Judge JA Smith, Environment Judge DA Kirkpatrick, and Environment Commissioner ACE Leijnen. “You have an unenviable reputation by all who know you of honesty, integrity and kindness. These are enduring personal values that transcend in importance all the very considerable achievements you’ve made in your lengthy career,” Justice Randerson told Palmer during his speech. The Hon Peter Salmon QC didn’t hold back, saying Palmer was “widely regarded as the guru of resource management and local government in New Zealand”. “Dr Palmer is without doubt the leading academic of environmental law and local government law in New Zealand,” Professor Barry Barton of Waiko University added. 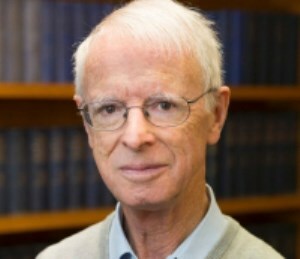 Not only had he made an outstanding contribution in teaching, research, practice, policy, public understanding and law reform during his 40 years, but he had also worked hard to nurture and mature the field of environment law from its humble beginnings in the 60s and 70s, Barton said. Letters came in from notable figures who were unable to attend including Justice Christian Whata, retired Judge David Sheppard, Environment Judge Melanie Harland, Sir Malcom Grant, and Justice Mark Cooper. “He is a colleague to be relied on to provide balanced analysis of issues whether they concern legal or academic questions or university management,” David Grinlington wrote. Grinlington also mentioned Palmer’s staunch support for the proper legal analysis or management outcome. He added though, that the professor could be a “tough and implacable opponent” when he believed there was injustice or a lack of integrity within the argument or decision making process.